As a cake pop maker, your customers are already coming to you for your beautiful cake pop designs. But how are they displaying your pops at their event? Piling them into a basket, laying them on the table, or worse… buying Styrofoam, which will get wastefully thrown out after the party? A cake pop stand rental program not only ensures that your pops are beautifully displayed, but its an easy way to bring in extra money for your business! Say you charged only $10 per rental, and you had 2 rentals per month… that’s an additional $240 a year that you could bring in to your business, just from letting someone rent your stand! 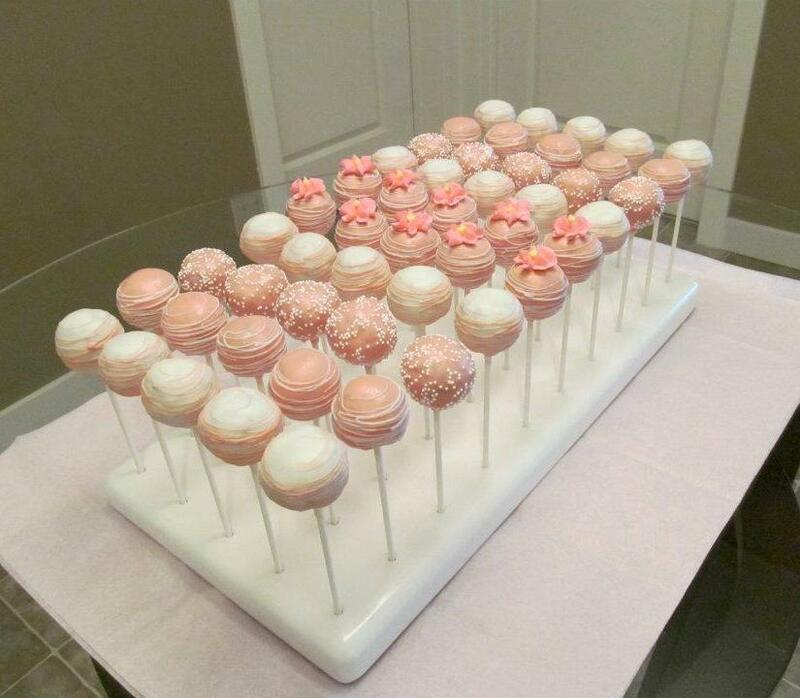 KC Bakes has six size options of cake pop stands, which can be used in a variety of event settings. The smaller stands such as the Skinny Mini or Mini Stand are great for centerpieces on party tables. The bigger stands such as the Classic or Mega Stand can be used on a dessert buffet table. Determine a rental fee for your stands. This is a flat fee which customers would pay you to rent the stand. Establish an acceptable return period. The longer you give people to return a rental, there’s a higher likelihood of it getting damaged, lost or forgotten. Also, the longer a customer has your stand, that is valuable time that you are without it. Usually one week is a standard rental return time. Developing a “late return policy” is helpful to ensure the stand is returned on time. If there’s no penalty for late returns, there’s often no incentive for people to abide by your time frame. Require a security deposit for the value of the stand. This type of deposit is necessary to ensure the stand is returned in good condition – this way if its lost or damaged, you are not out any money to replace it. Most businesses will ask for the security deposit as a separate check (not immediately cashing it). If the stand is brought back in acceptable condition, you can return the original check to your customer upon return. Have customers complete a rental form agreement. The above policy suggestions are great, but if they aren't formalized, you really don't have any recourse with the customer. Hard copies of rental agreements are important to keep on file to protect your stands. Advertise your rental program. People can’t rent your stands if they don’t know about them! Put a “Stand Rental” menu option on your website, tweet about it, status on Facebook – even blog about it. Include it on your order form when customers order your cake pops. Visuals definitely help – take a picture of your pops in the stand so customers can see how beautiful it looks. Rental programs are also a great way to get feedback about your cake pops! Sometimes you never see a person after an order, but if they have to return the stand to you, that’s another opportunity to get to know them better & nurture that relationship.